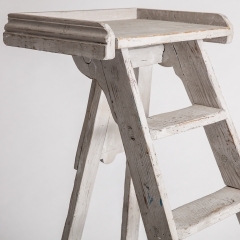 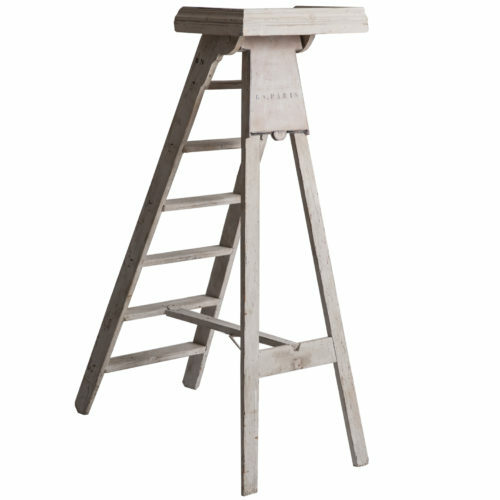 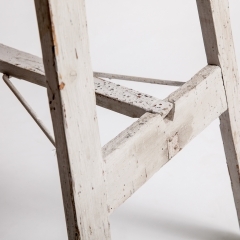 This wonderful old library ladder comes from a group of ladders that were used in the Bibliotheque National of Paris. With old grey paint surface, a convenient top shelf for books, and a shell motif on the shield, it is a very decorative piece to sit next to a high bookcase or to be used for display of favorite objects. 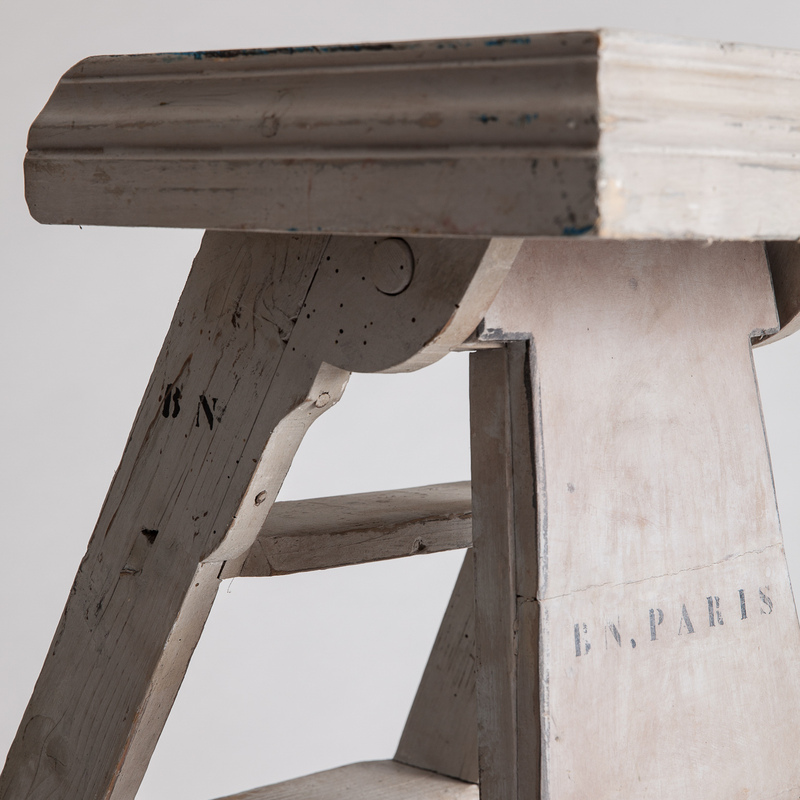 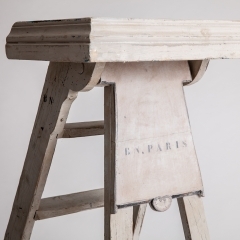 A stencil on the back of this folding ladder reads BN Paris.